Sony’s latest lineup of mid- and high-end Xperia phones will hit the stores in Singapore on October 7, even as the Japanese electronics giant is preparing to overhaul its designs for the first time in years. 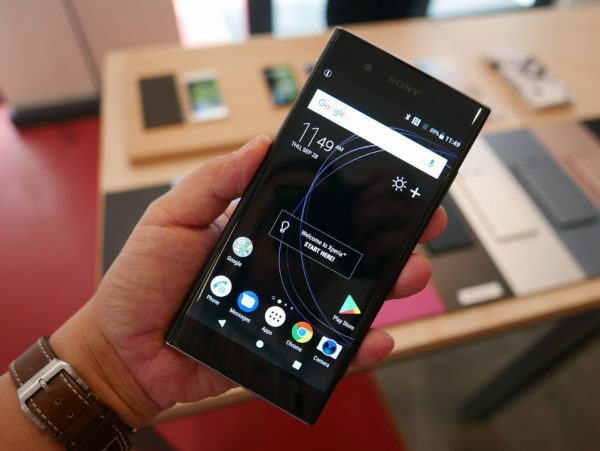 Sporting the company’s familiar monobloc design, the new Xperia XZ1, XZ1 Compact and XA1 Plus are aimed at folks who like the Sony look and feel, but balk at paying top dollar for the flagship Xperia XZ Premium out earlier this year. 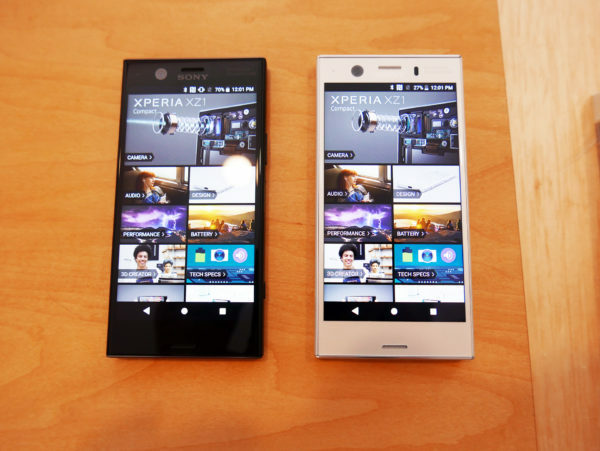 The Xperia XZ1 and the smaller XZ1 Compact are considered flagship phones in their own right by Sony, though they lack the 4K display on the more expensive model. Not everyone might want such a sharp screen, so Sony is banking on features such as the slow-motion video capture that debuted on the earlier flagship. Both the Xperia XZ1 and XZ1 Compact will let you take videos in very slow motion, for a cool dramatic effect. If that’s not enough of a selling point, Sony has thrown in real-time 3D capture as well. So, you can use these two new phones to scan a person’s head in 3D and print out cute avatar stickers or even create custom action figures with your own head on them. This was all the craze a few years back, if you remember, and Sony’s phone is now able to guide you along to capture all the details of a person’s head and have that saved on your phone. No need to pay a studio to do that. 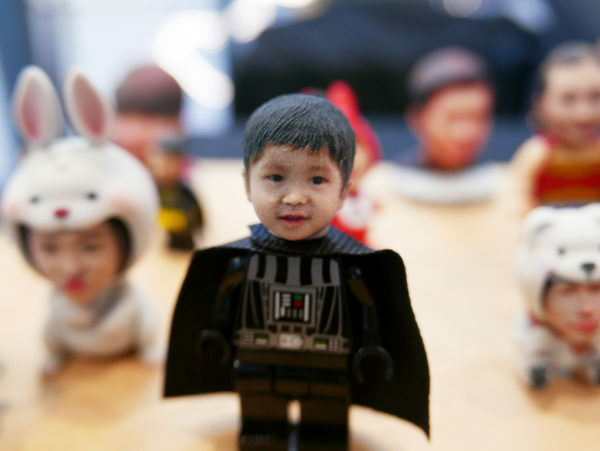 In Singapore, you can even send your data to a Hong Kong-based company to 3D-print a plastic head that can be placed on a Lego Star Wars figurine, for example. Prices will only be available next month, Sony representatives told Techgoondu today at the launch. While these cool features add to the attraction, they may not be deal clinchers, either. You know you won’t be doing such cool stuff every day. Will the hardware attract you? Certainly, the Xperia XZ1 and XZ1 Compact stay on the pace with other current flagships. They each have a Qualcomm Snapdragon 835 chip, 4GB of RAM and a main camera boasting 19 megapixels. I didn’t have a chance to try out the cameras extensively today, but you can expect results similar to the Xperia XZ Premium (see our review). What Sony has to improve on is its design, which is starting to look a little dated. While the competition has moved on to bezel-less screens and curved edges, it has stuck mostly to the same design unveiled in 2013. It has said it will revamp things in upcoming phones. Surely, it has received user feedback about the thick bezels, especially at the top and bottom of the screen. They don’t look as sleek as the competition today. The Xperia XZ1, which sports a 5.2-inch screen, may not suffer as much from this, but a smaller phone such as the Xperia XZ1 Compact looks chunky with a smaller 4.6-inch screen. 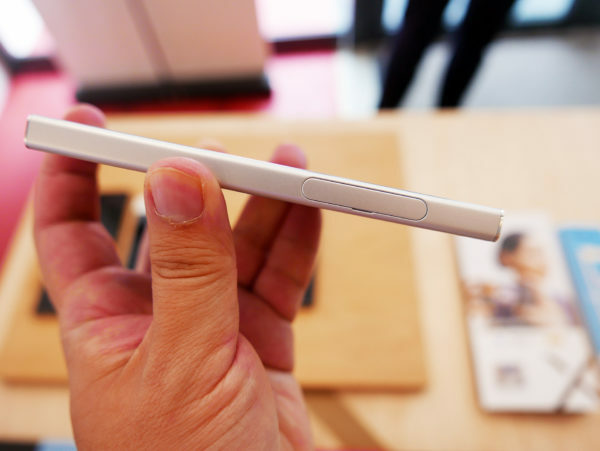 Besides the bezels, Sony has to make its phones slimmer as well, especially for the compact model. At S$668, the Xperia XZ1 Compact may find niche users seeking a small phone with flagship hardware. 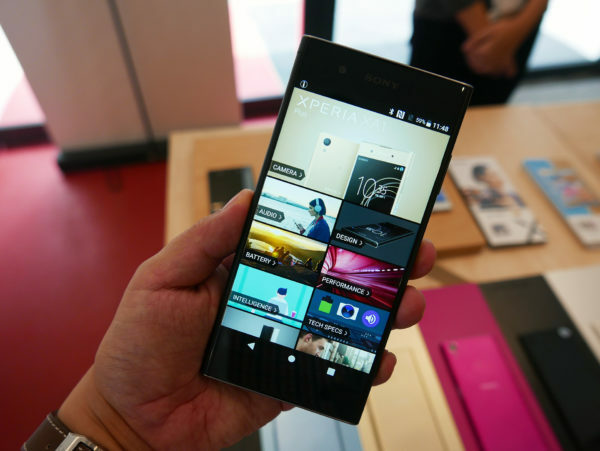 However, the larger Xperia XZ1 costs S$898, which isn’t cheap at all. For about S$100 more, you can get a Huawei P10 Plus with a dual-lens system plus a sharper Quad HD screen. Or opt for LG’s excellent G6 that also has a sharper screen, plus great music playback quality, for under S$800 now online. You could say the same about the mid-range XA1 Plus launched today as well. The S$498 device plays in a very competitive segment, where Chinese brands such as Xiaomi have a lot of traction and are competitive with new features such as optical zoom. The XA1 Plus, for its part, sports a 23-megapixel camera using Sony’s Exmor RS image sensor, which promises fast focusing and steady shots. However, the device with a 5.5-inch screen also has to rely on a cheaper MediaTek processor instead of a Qualcomm Snapdragon, which some savvy users are starting to expect even in this segment. Xiaomi’s A1, for example, sports a mid-range Snapdragon 635 processor promising decent performance even in demanding games. This means Sony has to win over users with more than a good engine under the hood. At least Sony’s designs are original, its fans will say, unlike Xiaomi and Huawei phones that often mimic Apple’s iPhone. It also helps that the Sony brand is still strong with many Singapore users. That will probably have to carry this lineup of Xperia phones while the company prepares for a big design overhaul in the months ahead.